This essay, like the one I posted last month on faux-vintage photography, is me hashing out ideas as part of my larger dissertation project on self-documentation and social media. Part II will argue that the media also overstate how public we have become, sensationalizing the issue to the point that the stigma associated with online imperfections erodes more slowly. It is no stretch to claim that we have become more public with social media. By “public” I mean that we are posting (1) more pieces information about ourselves online in (2) new ways (see the Zuckerberg Law of Information sharing), and are doing so more (3) honestly than ever before. We are connected to the web more often, especially given the rise of smart phones, and new layers of information are being invented, such as “checking in” geographically. And gone are the days when you could be anyone you want to be online; today we know that online activities are augmented by the physical world. People are mostly using their real names on Facebook and nearly everything one does there has everything to do with the offline world. But we are not as public as this suggests. We need a balance to this so-called triumph of publicity and death of anonymity (as the New York Times and Zygmunt Bauman recently declared). “Publicity” on social media needs to be understood fundamentally as an act rife also with its conceptual opposite: creativity and concealment. And I am not talking just about those who use false identities on blogs (see Amina) and pseudonyms on Facebook, those with super-strict privacy settings or those who only post a selective part of their multiple identities (though, I am talking about these folks, too). My point applies to even the biggest oversharers who intimately document their lives in granular detail. I’ll describe below how each instance of sharing online is done so creatively instead of as simple truth-telling, but will start first by discussing how each new piece of information effectively conceals as much as it reveals. 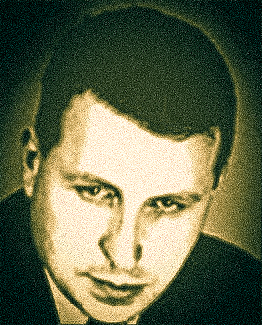 We begin by taking into account a lesson provided many decades ago by Georges Bataille, a philosopher and fiction author probably most notorious for his pornographic writing. Equally as important is his theory of knowledge that was of great influence on thinkers like Baudrillard and Foucault. Simply, Bataille argued that every instance of knowledge is also an instance of non-knowledge. Simply, and not precisely the way Bataille uses the concept, each time you learn something new you also learn more about what you do not know. For example, with each scientific discovery we might learn something new, but, simultaneously, we also start asking questions that we never could have before. Each time we learn something new (knowledge) the stock of what we don’t know (non-knowledge) grows ever larger. 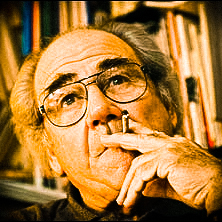 Following Bataille, philosopher Jean Baudrillard develops the concepts “obscenity” and “seduction” around the knowledge/non-knowledge relationship. “Obscenity” is the drive to reveal all and expose things in full, whereas “seduction” is the process of strategically withholding in order to create magical and enchanted interest (what he calls the “scene” opposed to the “obscene”). That is, non-knowledge is the seductive and magical aspect of knowledge. Let’s put this into the context of self-presentation and identity on social media. I once heard Sociologist Marc Smith describe Facebook as being like a “fan dance,” a space where one both reveals and conceals. I find the metaphor endlessly helpful because it helps shed the biased baggage of over-privileging the revealing half. Following Bataille and Baudrillard, we know that knowledge, including what we post on social media, indeed follows the logic of the fan dance: we always enact a game of reveal and conceal, never showing too much else we have given it all away. It is better to entice by strategically concealing the right “bits” at the right time. For every status update there is much that is not posted. And we know this. What is hidden entices us. Indeed, Bataille typically discussed non-knowledge as an ecstatic “inner-experience“, and with Baudrillard’s contribution we can say that the inner-experience is one of seduction, enchantment, magic and enticement. The theory of non-knowledge helps us explain why we have an explosion of sharing, self-documentation and mass-exhibitionism online: it is not that we are enticed by the explosion of new information about ourselves and others, it is not about what we now know, but precisely what we do not. This process is most clear when someone posts an obscure status update like “ugh” or just “am smiling so hard right now” that reveal only half-truths; often in order to beg some kind of follow-up response from someone else. However, every status update follows the logic of the fan-dance. Regardless of what is written, the observer not only views the status updates but also thinks of the space between them. What happened in-between? How do they relate to each other? What else do they imply? When one posts a photograph of themselves we might wonder who took the picture? Who else was there? Where was this? How does this photo relate to the others in the album? While some of the information may be provided with the photo, the information cannot ever be exhaustive (remember, more information only means more questions). When one “checks in” using Foursquare or Facebook Places we wonder who they are there with? Why are they there? What is that place like? Are they having a good time? While we may not always think these follow-up questions consciously, we always know that each piece of information is never the full story of any event. The totality of one’s social media Profile* is never the totality of who one is. 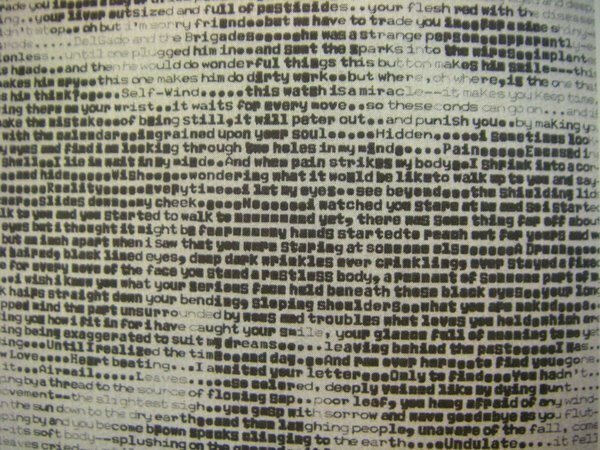 The screen only ever contains a very partial story. So far I have discussed how what we post always hints at what is not posted. Another reason to be skeptical of claims that Facebook and the rest of contemporary social media marks the ascendancy of publicity and honesty online is to acknowledge that everything we post is done so creatively. Early writing about self-presentation online focused on the creative potential of identity construction when one could be any race, gender, even species one cared to perform. However, as I mentioned above, we currently view self-presentation on social media as more honest. Today, individuals typically use their real name on Facebook and interact online with those they also interact with offline. All this is true, but even if we are as honest online as off, we should not forget that offline self-presentation is a creative performance as well. Erving Goffman‘s dramaturgical model of self-presentation or Judith Butler‘s notion “performativity” make the point that simply being is a creative endeavor. And our documentation of our being on social media also has an important creative aspect. 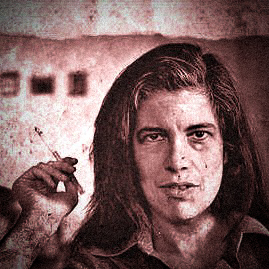 Susan Sontag was a great thinker of another documentation medium, photography, and noted that all photographs are always created with both a truth-telling and a creative intent. The photograph is both a depiction of something that is really in the world, but is also produced by a creative subject through choosing what is to be photographed, how it is framed, the camera settings, editing in post, and so on. Her metaphor is that a photographer is at once a poet (creative) and a scribe (truth-telling). As I’ve argued elsewhere, social media documentation follows the same logic. When we (or someone else) create documents on social media -be they status updates, comments, photos, etc- we do so as both poet and scribe. We are creative in our self-documentation, even when we try to pass that creativity as pure fact (indeed, I think one the troubles of social media is the same trouble of all self-presentation: we constantly need to pass our fictive and performative selves off as authentic fact). We all are poets and fan-dancers online. I think discussions around social media can get distracted by our current digital indulgence of the truth about ourselves in the form of incessant status updates, photos of everything we do, reviews, check-ins and so on. In fact, my first-ever blog post was about the triumph of so-called “mass-exhibitionism.” What I failed to account for was understanding that each new piece of information posted online also hints at what is missing. Interestingly, Baudrillard makes the same mistake in his thesis that the “obscene” has come to supplant and even eradicate “seduction” and the “scene.” Instead, my current view is that social media is not the death of concealment but its ultimate proliferation. Like matter implies anti-matter, new knowledge on Facebook implies new non-knowledge. New mysteries to that seduce us into checking back for more. Every bit as important as what is revealed on Facebook is what is concealed because what is creatively hidden, what is imaginatively only hinted at, provides enchantment. And this is just as true off as online. Read Part II of this essay. *I use the upper-case Profile to describe the totality of one’s online presence, whereas the lower-case profile describes a single site-specific profile. For example, one may have a Facebook profile, which is part of their larger online Profile. Sociologist Nathan Jurgenson has an interesting post about Facebook and his skepticism about proclamations of the end of privacy and anonymity. He deploys the postmodernist/poststructuralist insight that each piece of information shared raises more questions about what hasn’t been said, and thus strategic sharing can create different realms of personal privacy and public mystery. We know that knowledge, including what we post on social media, indeed follows the logic of the fan dance: we always enact a game of reveal and conceal, never showing too much else we have given it all away. It is better to entice by strategically concealing the right “bits” at the right time. For every status update there is much that is not posted. And we know this. What is hidden entices us. I think this is missing the point. I feel like I need to use all caps to stress this: LOTS OF PEOPLE DON’T WANT ATTENTION. They don’t want to be enticing. Privacy is not about hiding the truth. It’s about being able to avoid the spotlight. The fact that every piece of information is incomplete is precisely why people feel overexposed, because it means that everything that gets shared (often against their will) invites more scrutiny into their lives. This is why they feel like they have lost their privacy. Not because perfect information about them is out there, but because the teasing bits of information circulating seems to orient the surveillance apparatus on them. And that surveillance apparatus is distributed so widely, it feels inescapable that speculative information will be produced about you and attached to your identity online for anyone to find. That is the problem, not oversharing. The end of anonymity is not about people knowing accurate things about you; it’s about enough people who know you being in the micro-gossip business to make you feel unfairly scrutinized and libeled. Jurgenson points out correctly that “‘Publicity’ on social media needs to be understood fundamentally as an act rife also with its conceptual opposite: creativity and concealment.” It also needs to be understood that of course people who are comfortable with sharing are not exposing their authentic character—even if there were such a thing as an authentic self. The point is that they enjoy constructing that pseudo-celebrity self through social media and feel recognized when they are gossiped about and circulated. But the rest of us are being forced to play their game, on their terms, at an inherent disadvantage. I don’t want to have to send out reams and reams of disinformation online to “protect” my privacy (which is one of the reasons I am not on Facebook anymore. I thought it was stupid that I only logged in to it to play defense). I don’t want to share only to bury things that have come to embarrass me or prompted responses I don’t like. I don’t believe I have the time or inclination to try to imagine what new creative interpretations and lacunae I can generate with my sharing so as to convey the right impression, cultivate the right sort of fascination with me. I don’t want to be “fascinating.” I don’t want to be “seductive” in the Baudrillardian sense and “create magical and enchanted interest” (to use Jurgenson’s phrase). Others may revel in that fantasy, but I don’t want to have to adopt their code if I can help it. But it may not be tenable for me to avoid it for much longer. For instance, events I might want to go to will be publicized only through Facebook, and I will end up missing out on everything if I’m not trackable there. Everyone I know will be in the social-media circus tent, and I will have to join them. Social media confronts us with how little control we have over our public identity, which is put into play and reinterpreted and tossed around while we watch—while all the distortions and gossip gets fed back to us by the automated feedback channels. Some people find this thrilling. Others find it terrible. It’s always been true that we don’t control how we are seen, but at least we could control how much we had to know about it. It’s harder now to be aloof, to be less aware of our inevitable performativity. We are forced instead to fight for the integrity of our manufactured personal brand. To be clear, my post was on how all information sharing online effectively conceals as much as it reveals. As the strongest case of my argument, I wanted to show that this is true for even the biggest oversharers. And it seems that there is no disagreement on this point. Those who do not want attention, what you focus on here, were certainly not the center of my analysis; however, I think my point applies to them to. In fact, it applies to them in an interesting way: a new sort of public calling for attention is privacy itself. A new way of calling attention to oneself is to not have a Facebook profile (the new “I don’t have a TV”, as they say). Osama Bin Laden’s compound was identified precisely because of its lack of digital connections to the outside world. Without them, or without a Facebook profile, there is an obvious black spot on the grid. Not having much of a social media presence, whether we want to admit it or are comfortable with it or not, is itself an act of enticement; playing digitally-hard-to-get. But that is just a provocative small part of the story, and I certainly take your point that most people who avoid social media are not consciously trying to entice. Though, I do think a lot of people might claim that they are being coerced to share and do not really want the attention, but, at least subconsciously, are quite willing to engage in the economy of visibility because of the social capitol it provides. Since we are not usually conscious of social capitol in its various forms, we often engage in things we do not like to do, and I think Facebook is one of them. I’m not saying it is impossible for one to want to opt out of the social economics of Facebook, as you claim for yourself; it certainly is. And I think that is admirable. I just think that is not the norm, and more interestingly, perhaps far from the norm for even those who claim that they don’t want to entice further attention. For instance, you, on the one hand, want to opt out of the social economy of Facebook but, on the other, still do not want to miss out on events. But those two things are entangled on Facebook, and were entangled long before Facebook, too (something you rightly acknowledge at the end of your post). Absolutely agreed! I think this is an important implication of the “Facebook fan dance” thesis: that seduction more passionately focuses the gaze upon us, furthering the feelings of overexposure (for better or worse). Interesting stuff, Nathan. I love the fan dance analogy. It rattles me a little, because I've been so critical of the "ugh" updates, that I've missed the fact that I'm playing essentially the same game, just not quite as shamelessly. When you say that social media is the ultimate proliferation of concealment, it reminds me of the bioethics debate around the neurological criterion of death. John Lizza puts it that, with technology, we've invented new ways to live and new ways to die. In this case, I suspect we've invented new ways to reveal and new ways to conceal. Or, taking it a step further, new ways to feel connected and new ways to feel isolated. A very interesting line to add complexity to "the end of anonymity". Congratulations. I have to say, I do think that this is one of the best pieces I have yet to read on cyborgology! I've come to your site from Rob's response in the new inquiry. The fan dance is very cool, I wonder if you have a reference to Marc Smith's original description? Thanks to both of you! Right now I am thinking about the nature of the network that our personal information circulates on, and how images and videos can move and reemerge far away from the original poster and audience. In this wider environment, I wonder if it is not less about the the individual who crafted an image- and more about the unexpected transformations of the image as it passes around.